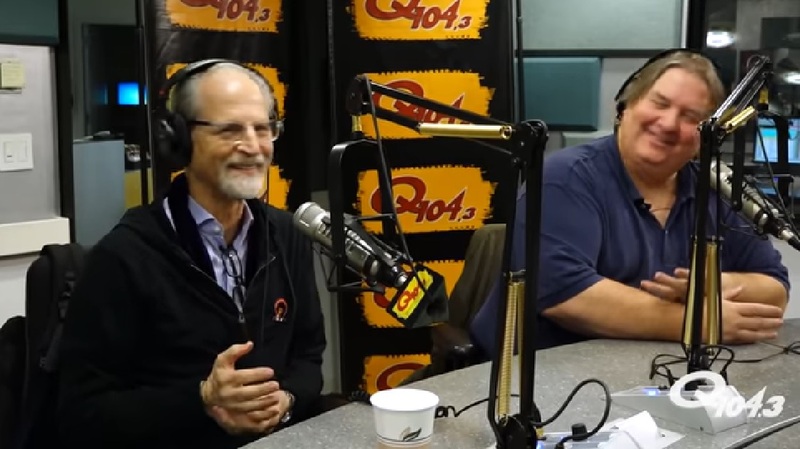 Producer Eddie Kramer along with filmmaker John McDermott held an interview with Q104.3 to discuss Jimi Hendrix’s last studio album released in 1968 “Electric Ladyland”. Kramer also mentions his meetings with The Beatles and Led Zeppelin. Eddie Kramer and John McDermott discuss the 50th anniversary of Jimi Hendrix’s ‘Electric Ladyland’. I want to start up by clearing up some info for me. This album was or was not recorded at what is now known as ‘Electric Ladyland’ on West 8th Street in Manhattan. Eddie: “That is incorrect. This album was recorded – it started in England actually, at Olympic Studios in London in late 1967 early ‘68. 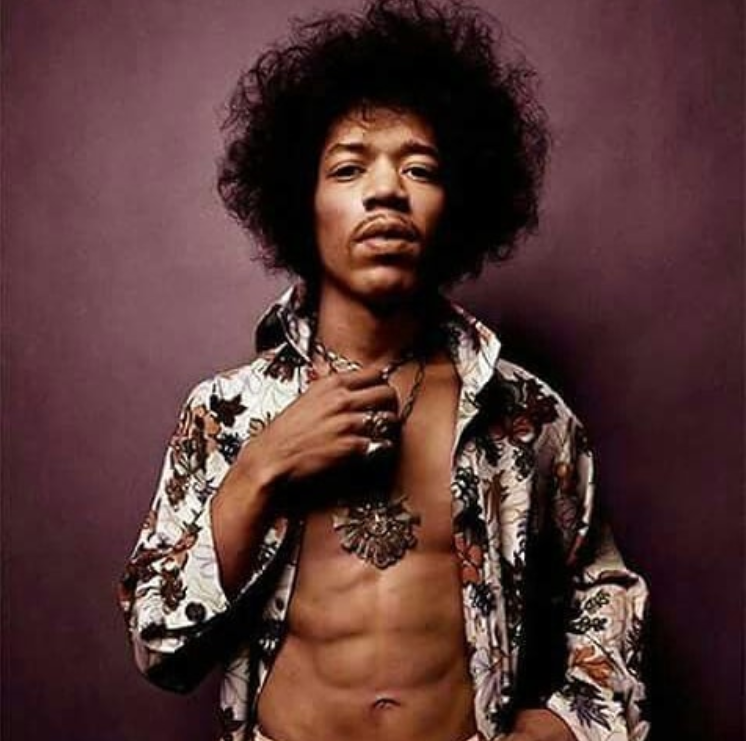 “I moved to America, I came in to specifically continue work with Jimi. I was invited by [producer/engineer] Gary Kellgren who’d just built the Record Plant – that’s the studio 321, West 44th Street, and that’s where I landed to continue working with Jimi. “Gary has been in the studio with Jimi for like a month or so, and then I arrived in April and we continued working. We want to hear that story. Jimi played bass on that song actually, right? That’s shocking to hear. Getting back to the ‘Electric Ladyland’ – the studio itself, what is the background of that studio? I always heard or read that the ‘Electric Ladyland’ studio was a part of a record deal for Jimi with Warner Brothers Records. To this day, it’s an active studio, one night I’ve gone to like a Gary Clark Jr. listening party, and then the next night, like Mumford & Sons in there mastering their record or something. Lots of special guests on this album, [Traffic’s] Steve Winwood, [Traffic’s] Dave Mason, [Jefferson Airplane’s] Jack Cassidy… Stephen Stills, I think, plays on it too. How did these guests appear at those sessions? Was it very informal, was it planned out, did you get a phone call? How does that work? Eddie: “Well, imagine that you’re on the 44th, and two blocks away is this famous nightclub that Jimi used to go jamming, called The Scene. 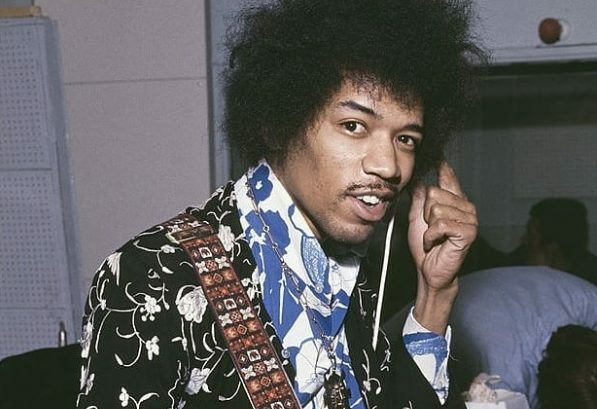 “Jimi would be there from like 8-9 or 10, we’re sitting in the studio, everything all set up, we’re ready to go, all the mics are checked out, he comes strolling in at midnight dragging behind him 20 people. So at what time would you get to the studio? But he was notorious for taking like 20 takes, right? So, for the crazy guitar freaks out there like myself – when Jimi got a guitar to play, it was a right-handed guitar. What did he do? He turned it over, did he restring it, how did he do it? John: “Yeah but, you know, Jimi was kind of an off-the-rack guy. He wasn’t somebody who was really precise. He would go to Manny’s and get like a white Strat or black Strat and you know, do exactly that. So, at this point in Jimi’s career, had he really developed and matured as a songwriter? John: “Yeah, [manager] Chris Chandler helped him. Chas is really the hero of the Hendrix story in a lot of ways. He saw it, he had the big picture vision. He understood Jimi’s talent. Eddie: “Chas was the guy. In the beginning, when Chas and Jimi lived together, Chas was the one who’d set up with him, ‘Come on man, you got to write some songs.’ London, ‘67 in the very beginning. Eddie: “We started the track in London at Olympic and there were a couple of very interesting moments during the cutting of that track. “I remember very clearly that Jimi was quite uptight with not only Mitch [Mitchell], but Dave [Mason], because he couldn’t the ‘quing-quing’ sound – all that Dave had to do is play the open chords and just strum across the strings. “So once they got over that and they figured out, ‘Okay, this is how we’re gonna do it’ – we were about to take deep into it, and all of a sudden I hear this really horrendous piano ‘clang- clang,’ playing the wrong chords all out of time, and it’s Brian, he had slipped into the studio and he’s completely out of his mind. John: “I think what’s interesting – you got to understand in Jimi’s life he had been denied the ability to record, he was this kind of the itinerant side for Little Richard and the Isley Brother, and when the few times he would get to record, he would be told specifically what to do and was not allowed to kind of put his own shine to anything. “So I think by the time [Chas] Chandler gave him the gift of opportunity, he ran with it. He didn’t have 15 cars, he wasn’t into that. What he did, he put his money into a recording studio. It’s still here today, if he had never made another record after 1970, he’d still be running the studio and be successful. Eddie, when people ask you about your work with Led Zeppelin, is there one story that comes to mind immediately? An anecdote? “Yeah, the recordings. Led Zeppelin at Mick Jagger’s house called Stargroves in England. There was a song called ‘Black Country Woman,’ and the boys decided that they wanted to record the Christie guitar basic track outside on the lawn. I want to ask you the same about The Beatles, I think you engineered or worked on ‘All You Need Is Love’? “And he goes, ‘All you need is love,’ he starts strumming the guitar, and I’m thinking ‘Bloody hell, how am I going to get that vocal through the headphones?’ Because they, the boys all started to walk out into the studio. “McCartney picks up a bass, Sir George Martin goes over to the harpsichord…so I figured out how to patch that talkback mic into the headphones and he sat right next to me while the song was going, and we grow one reel of tape, which is about half an hour, bomb, into record, here we go.